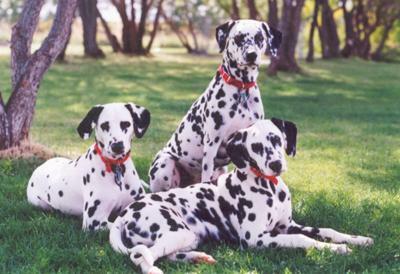 Echo View Dalmatians (perm reg’d) is a small, dedicated, well-established show/breeding facility located near Leslieville, Alberta, Canada. We strive for the perfect harmony of elegance, balance and expression, while maintaining conformation, intelligence, temperament and health. Breeding stock is BAER tested and certified OFA (clear of hip dysplasia). We have in home raised puppies occasionally for show, obedience, performance or for just plain lovin’. Retired adults are sometimes available and we provide information always. Our Dallies are house pets and companions first. We are proud to raise these highly intelligent, beautiful, devoted & loyal dogs since 1991.